Martin and Danielle are real by the way. They're just not on camera. If you want to hear the whole show, you can get the podcast from itunes here or you can get it from the Absolute Radio website here. Sometimes life is just too ridiculous for words. These photos were taken at Wembley Stadium. 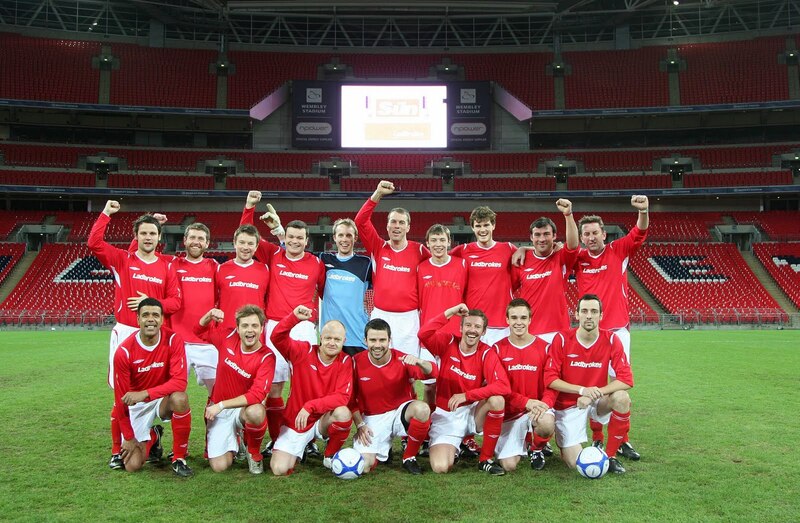 It was a charity event - a match played against a team of soldiers - for Help for Heroes. The spine of our team was pretty damn good. Ralf Little and Chris Kamara were able to control the midfield in the first half. In the second half, the soldiers superior fitness showed. I was more of an agricultural right back who's not really agricultural enough but not cultured enough to be called anything else. I did make the assistant referee say, "Oh, well done" once though. That's plenty enough for me. And in case you've forgotten... it's Wembley. The stuff of dreams. You can find out more about Help For Heroes here. You can see The Sun's report on the event here. 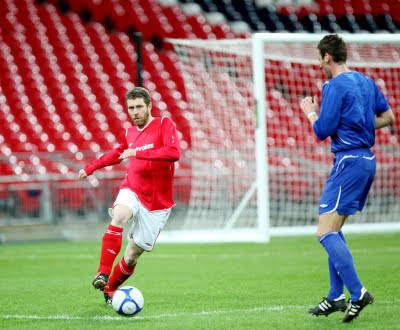 Big thanks to The Sun snapper for letting me use these photos. I was going to write something about Peter Mandelson's digital economy bill... but Dan Bull says it better in song than I would with words so I'm posting that instead. If you like it, head over to youtube and look up his other work. He's ace. Dan Bull, I mean. Not Peter Mandelson. Oh... and if you'd like to register your opinion against the digital economy bill, there's a petition here. A lot of people who listened to the show on Sunday - or who have listened to the podcast since - have been getting in touch to send us more examples of shop names. So I've compiled a list over at the show blog... and I'd suggest that's probably the best place to get in touch with any more. If you want the podcast... you can subscribe via itunes here... or listen again at the Absolute Radio website here. 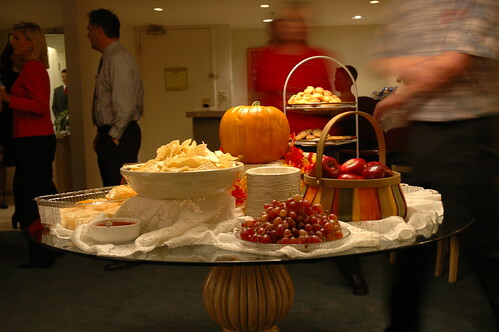 Davis County Republican Party Buffet, originally uploaded by Dave Gorman. You know how sometimes you're at a party and it's okay but not great and you decide to leave. And then the next day, everyone says, "Oh! You should have stayed! It ended up being Amazing!" And you regret leaving the party. And the next time you're at a party and it's okay but not great you don't want to leave because you don't want to miss the bit when it suddenly kicks off and becomes amazing. Well that's what it's like trying to work knowing the internet is just there. The internet isn't thrilling me right now. I know I have some work to do. But I worry about what I'm going to miss if I start ignoring it. So can you all turn your internet off during office hours? That'd be great. Stop enjoying it at least. Some of us have work to do. This will be a 1 minute 10 seconds investment and it's so very worth it. Watch it all. About 40 seconds in it will suddenly surprise you. Then you will be disappointed that it's over. Even though I've told you it will surprise you, it still will. In a really nice way. CHOP CUP from :weareom: on Vimeo. You know what it's like when you're not really concentrating on the TV, there's an ad break and you look up and think, I know that face. Where have I seen that face before. Well I'll be damned. It's Anne Darwin. 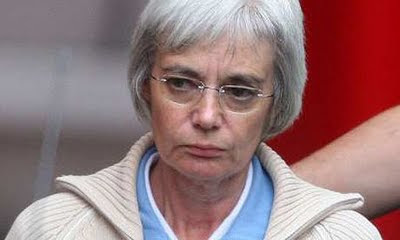 Wife of John Darwin the mysterious disappearing, back-from-the-dead canoe man. Well, I knew she'd been ordered to pay the money back, but I didn't imagine a bit part in an Argos ad would pay that much. 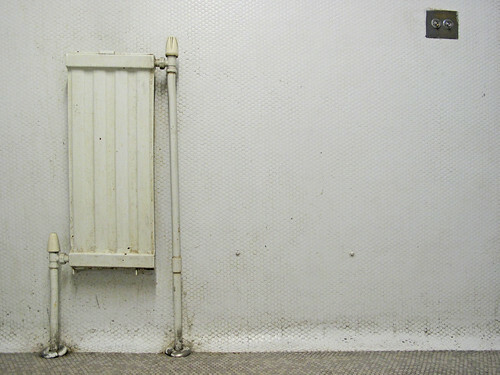 The Smallest Radiator In The World, originally uploaded by Dave Gorman. As I've mentioned previously, we asked listeners if they would like to send us a jingle for the Absolute Radio show I do on Sunday mornings... and we've had a great response. We're always looking for more so do feel free to do one in your own style and send it our way. I ought to say, we have played several that aren't as, um, professionally produced as these so don't let that put you off. If you can record a jingle and send it in... you can do so, here. Oh... and if you use iTunes, you can subscribe to the podcast here and if you don't, you can get it from the Absolute Radio website, here. Rush Crush, originally uploaded by Dave Gorman. I was sitting on the the tube the other day, reading a newspaper, minding my own business, when a woman got on the train accompanied by two impossibly cute daughters. I'd guess they were 7 and 8 years of age. The woman sat down and instantly started reading a very well thumbed copy of the bible. Her two daughters tugged at her sleeves a couple of times and tried to engage "Mummy" in conversation but she didn't look up from her book. So the kids decided to entertain themselves. They achieved this by taking a pile of leaflets from their Mum and walking up and down the carriage handing them to the other passengers. The leaflets were advertising a church and looked to be full of quotations from the bible. I really don't know how I feel about this sort of thing. Actually, that's not true. I do know. I don't like it. I don't really think a parent should sit back and tacitly encourage their kids to engage in that kind of activity. Faith - like politics - is contentious. People are entitled to their opinions and those opinions are often strongly felt. A grown up handing out such leaflets is, presumably, prepared for either rejection or debate - in a way an eight year old girl simply isn't. 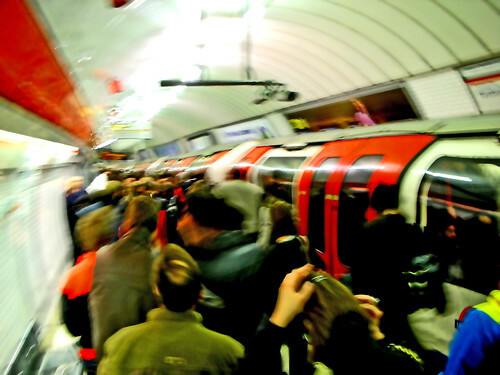 A few people accepted the leaflets while others rejected them politely but there was a real sense of discomfort in the carriage. I certainly felt compromised when they thrust a leaflet my way. You look down at two eager, smiling, cute kids and you naturally want to make them happy. But I didn't want to give my tacit approval for the leaflet. I also figured that if a parent is going to encourage their kids to hand out that kind of literature, they have to have prepared them for the idea that not everyone would want them. So I smiled, gestured to my newspaper, in a look-I'm-reading-something way and said, "No, thanks." They smiled, walked off and continued trying to hand out the leaflets to other people. I reckon about a third of people declined politely. Of the two thirds who took the leaflets... the vast majority just glanced at them before shoving them in a jacket pocket or leaving them on the seats. I think I saw one person actually reading the whole of it. When the girls had approached everyone in the carriage, the younger of the two suggested to the other that they should go back to the people who hadn't taken the leaflets. The older girl thought about it for a moment and wasn't sure what to do, but just then the train arrived at a station where a couple of people left and four or five people joined the train. Fresh quarry... the girls were off. It didn't take long. Two people accepted the leaflets. Three didn't. And once again the girls had nothing to do. Once again they discussed the merits of whether or not to approach those of us who'd declined their literature but this time they decided not to on the grounds that those were "bad people." Now, for the sake of clarity, I'll make it clear that I wasn't straining to listen in to their conversation. They were propping themselves up against the two seats directly opposite me and they were talking in loud, un-self-conscious voices so that anyone within five yards of them could hear every word. Including their mother... who was still reading her bible. So now I'm sitting there, hearing two young girls tell each other that I - and a third of the other passengers on the train - are bad people. It got worse. They continued by deciding that we were all going to go to hell. Proper hell. With lots of flames and things because the devil was going to punish us because we weren't interested in the good message that God wanted them to share with the world. Along with a few other people I was being loudly condemned to hell by a pair of sisters, a few years shy of their tenth birthday... and their mother was sat there hearing them say it and doing nothing about it. Now, as I don't believe in hell I think it's an empty threat... but even so, I think it's a hateful way to behave and wildly inappropriate for a parent to sit there allowing their kids to do so. If you want to bring your kids up with faith that's one thing... but the minute you want them to go out into the world on a recruitment drive you have a duty to explain to them that there are other views in the world and that people who hold them don't necessarily take kindly to being called evil. But what do you do? I certainly wasn't going to try and remonstrate with two kids. I have no idea how much of what they were saying they understood let alone really believed. More than anything, I felt sorry for those kids. With an upbringing like that, I don't know how they have a chance of growing up as reasonable, balanced adults. Of course they're going to believe strange, hateful things if that's how they're raised. No, the person I had a problem with was obviously the mother. Whether or not the kids understood how much hate was contained in their words I couldn't tell you... but their mother sure should have done and in saying nothing to counter it she was sending out a strong message of approval. I know I probably should have done nothing. I know I should have just got off the train and gone about my business, dismissing it as just another bit of eccentricity in the world, but I figured I had as much right to hand out literature expressing my point of view as they did. So I did. We were approaching my stop so I hastily scribbled a few words on a scrap of paper and then, trying to do so in a way that her kids wouldn't notice, I handed it to the mother. I know it will have achieved nothing. I know the chances of that woman seeing any fault in her behaviour or that of her offspring is zero... but it still made me feel better to have done something. At least I didn't sit by and give their behaviour my tacit approval. The words on my note were: "I find being condemned to hell by your children upsetting. They are learning to hate." Like I say, it won't have made a jot of difference to anything or anyone but me. The children? You have to forgive them, they know not what they do. But their Mum does. And it's horrible.